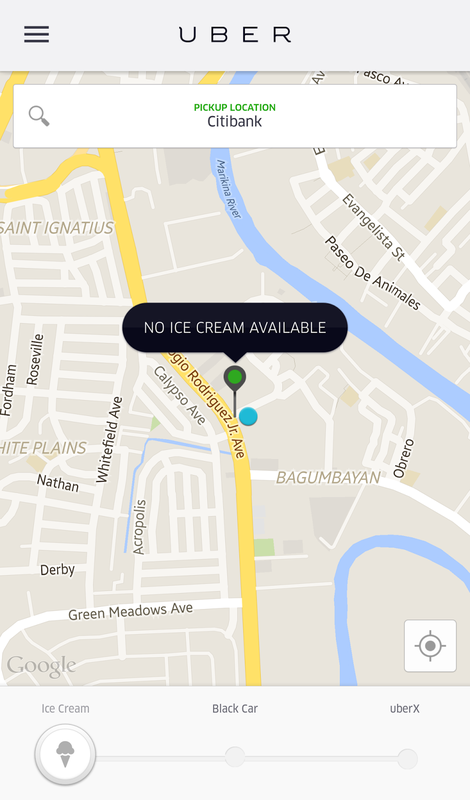 I've had nothing but good experiences with Uber so far, and as it turns out, it's not just your ride for the day the app can bring to wherever you are, but ice cream too! From 12 to 6 in the afternoon today (yes, the promo's still ongoing), you can log on to Uber, select "Ice Cream" from the usual ride options (that sliding bar at the bottom), and have Merry Moo's best-selling Sea Salt Caramel ice cream delivered to your doorstep. The steps are simple but getting a hit requires patience. It took me 50 minutes of seeing that "NO ICE CREAM AVAILABLE" balloon (which I took as the universe's way of saying "STOP STUFFING YOUR FACE WITH FOOD ALREADY!") 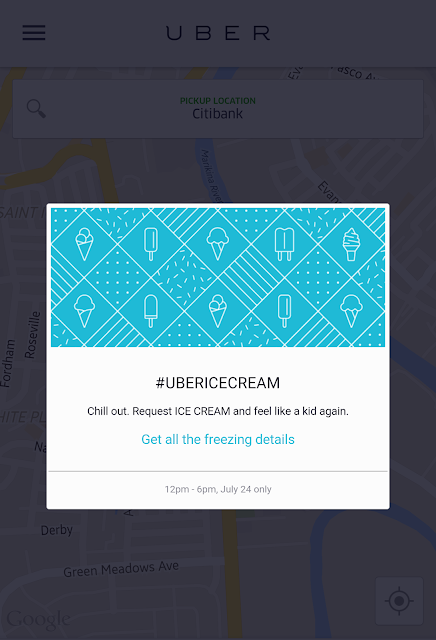 before I finally connected with PJay, an #UberIceCream guy. PJay met me outside our office building, gave me my Merry Moo ice cream, pulled out a white Uber cap and two buttons from his backpack to hand to me (freebies), and snapped a photo of me ("for personal use," he said after I asked if I was going to see my photo anywhere online, which must mean he's keeping a record of everyone he's delivered to...I hope). 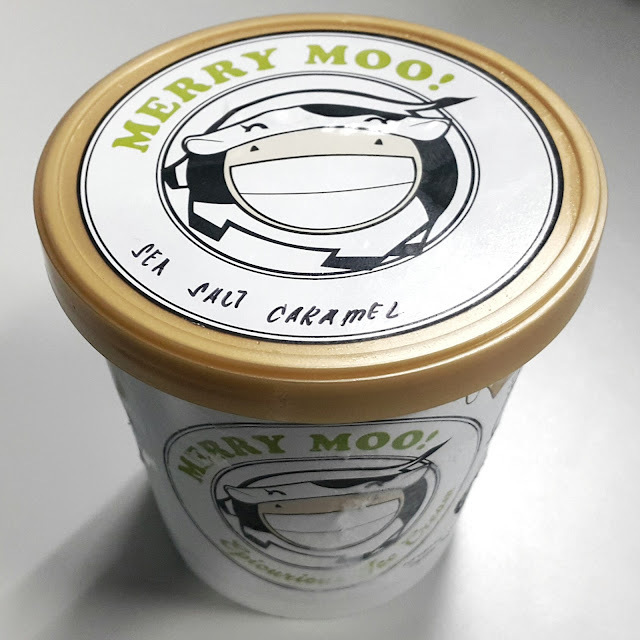 As of the moment, you can get Merry Moo only at SM Aura Premier, SM City North EDSA, SM Megamall, Salcedo Saturday Market, Legazpi Sunday Market and Mercato Centrale. Their artisan ice cream attracts long lines, and for good reason because each spoonful of ice cream is rich, delicious and not overly sweet. So P199 for a pint via Uber is a steal, considering the original price is P320, and you get to skip the lines. 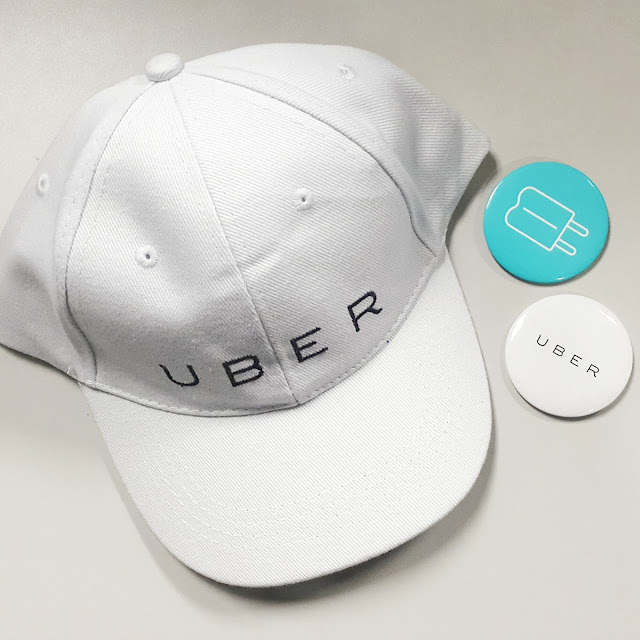 Unfortunately, Sea Salt Caramel is the only flavor available for the #UberIceCream promo and you can order just one pint per app, so if you're like me, you'll convince your Uber-using friends to stay glued to their Uber screens to catch that elusive "Set Pick-up Location" balloon for the ice cream...if they aren't already on the lookout for it themselves. Don't let this stop you. 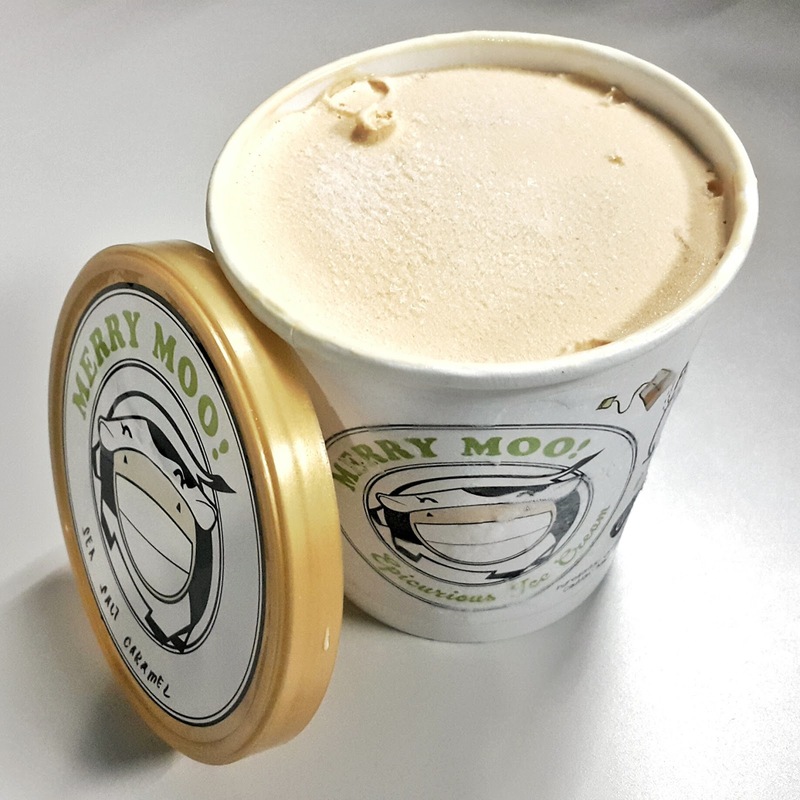 The promo is only open to Makati, The Fort, Ortigas, Greenhills and Eastwood. Less than an hour to go for the promo! Don't give up on it now!